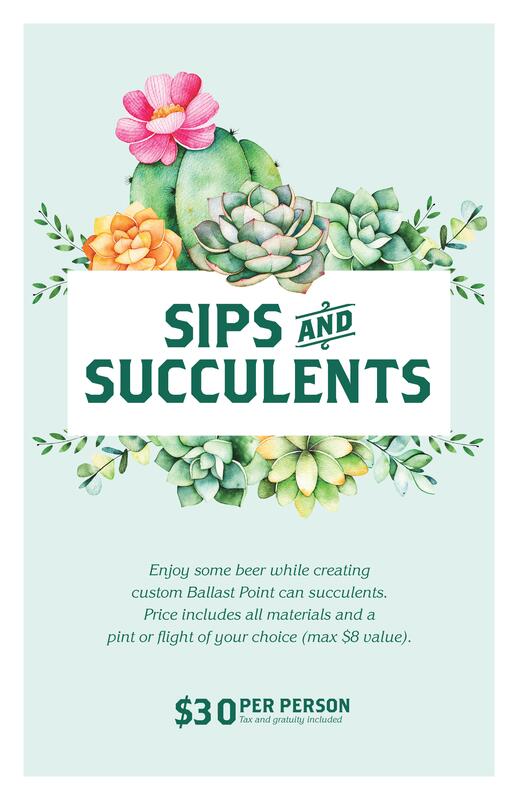 Enjoy handcrafted brews while creating custom Ballast Point can succulents! Ticket includes all materials and a beer flight of your choice. Limited space available - reserve your spot now! *Tickets are non-refundable. Tickets are not physically shipped - check in with the host when you arrive for the event. All guests must be at least 21 years of age to attend. Valid photo ID required at check-in.